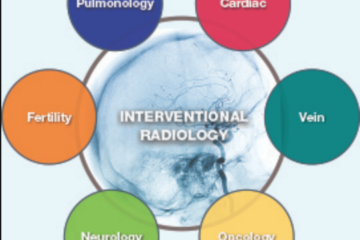 The American Board of Medical Specialties recently established interventional radiology as a primary specialty. 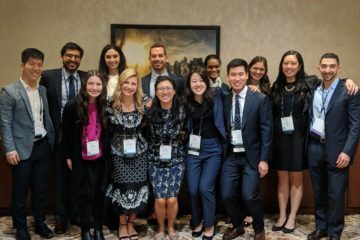 In recognition of IR as a unique field of medicine, combined residency programs in both IR and diagnostic radiology are replacing the traditional pathway that required a DR residency followed by an IR fellowship. The increasing distinction between IR and DR training pathways requires students to make earlier decisions about which to pursue. In addition, diagnostic radiology remains an important element in the theory and practice of IR. Therefore, taking a DR elective can help students clarify their career goals and gain familiarity with the imaging techniques that form the foundation of IR. For students unsure of which pathway to choose, early exposure to both fields is key to making a well-informed choice. If possible, shadow radiologists or take any available preclinical electives during the first two years, and schedule DR and IR electives early in third year. 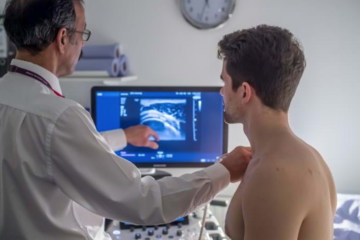 General radiology electives are often best for students with no previous background because they provide an introduction to multiple imaging modalities in addition to IR. For students with a clear interest in IR, it may not be as important to take an early DR elective. Choosing electives with greater emphasis on image-guided procedures and fluoroscopy will provide the most benefit. Regardless of timing or type of elective, radiology can sometimes be difficult to fully engage with as a student. Setting goals prior to starting and being an active learner during the elective will help make the most of each rotation. Set big picture goals. Think about what you want to gain from the elective and how to get there. If you want to decide between DR and IR, plan what information you need to make the decision and how you will find that information. If you want to find a mentor or project, identify attendings that have worked well with students in the past. Set daily or weekly goals. Perhaps you want to learn a new procedure or read and dictate a CT on your own. Try to learn about the radiological presentation of a common disease every day. These small goals will keep you motivated and active throughout the elective. Read. This is a short list of resources that can prepare you for content you are likely to encounter on a radiology rotation. Students often feel like they are not part of a team on radiology rotations. The key is to be an active participant without being intrusive or overbearing. Sit close to residents when they are reading studies and go over each case together. Help them find additional history or lab values in the chart that may contribute to clinical reasoning. If there is down time, ask residents to teach you basics or give you cases to work through on your own. During read out, do not feel intimidated about asking questions when appropriate. Keep a notebook of interesting cases and diseases, and read more about these every night at home. If you come across a particularly interesting case, consider preparing a short (5-10 minutes) presentation to give at the end of your rotation. If your elective includes procedures, be observant and find ways to help with set up or clean up. Learn the basic steps and work up to doing parts of the procedure on your own. Learn as much as you can from technicians about how to operate equipment, position patients, capture images, etc. Get to know the residents and attendings as they will be your future mentors and colleagues. Ask for any advice you might need. Volunteer to help on their research projects or propose ideas for new projects. Most importantly, radiology involves close interactions between residents, attendings, and students. Radiologists want to be with people who are teachable, have good work ethic, are easy to be around, and have good personalities. Being a person who is intellectually engaged and personally dynamic will go a long way during any rotation. Special thanks to Dr. Don Yoo (Alpert Medical School) for his advice and contributions to this article.